Mark Spencer, WA8SME, has been a ham radio operator for over 47 years and has also held the calls G5EPV, DA1OY, and HL9AW. Originally from the Detroit Michigan area, Mark entered education as a second career following a 20 year career as an Air Force Officer flying T-38, B-52, U-2, and TR-1 aircraft. He has degrees in Metallurgical Engineering and Communications. His education career spans high school Mathematics and Physics, Chemistry, and Computer Programming teacher; K-12 school principal, and college professor of communications, public speaking, and metallurgical engineering. More recently, Mark worked as an engineer for a small firm that did rapid prototype development of un-manned surface and subsurface vehicles for the Office of Naval Research. Mark developed the curriculum for the Teachers Institute as the ARRL’s Education and Technology Program (ETP) Director, and currently continues to serve as program consultant and as an instructor. He continues to work on developing projects that will enhance the use of communications with space borne assets in the classroom. This year’s Teachers Institutes include the introdiuctory TI, as well as an advanced TI-2 Remote Sensing and Data Gathering, for which Mark has developed sensor resources students can deploy on a buoy or on a marine robot, on land robots, or with high altitude balloons, to do environmental studies. In addition to the instructional resources he has developed for the ETP, Mark also has published an instructional manual PIC® Microcontroller Programming for the Beginner. Mark’s current ham radio interests include ham satellites and adapting microcontroller technology to ham radio and implementing this technology in the classroom. Tommy Gober, N5DUX, holds an Amateur Extra license, is a Curriculum Design Specialist with the National Integrated Cyber Education Research Center (NICERC) and has taught high school Computer Science, Programming and other Technology classes. Tommy has a passion for instruction and having an impact on the classroom. He began his interest in amateur radio while in grade school, but it was not until college that he got his license. Tommy is an ARRL Life Member and has been an ARRL registered instructor and VE for several years, leading many people toward their licenses. He joined the ARRL ETP team bringing with him his love of electronics, programming, amateur radio, communications and passion for both teaching and learning. He enjoys CW, satellites, HF, kit building and portable operations. Larry Kendall, K6NDL, has been an educator and curriculum developer since 1981. He currently teaches middle school Technology and Robotics at Sitting Bull Academy in Apple Valley, California. At various times in his career, he has taught science, mathematics, computer science, photography, and print and broadcast journalism. 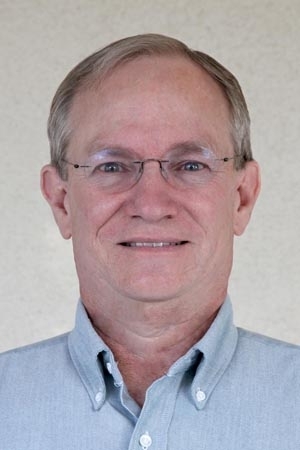 As an adjunct community college instructor in Arizona, Larry also taught courses in computer applications, astronomy, and engineering processes. Larry's background is in geoscience, with interests in astronomy and photography. During a 14-year run at the University of Arizona, Larry was a lead instructor and trainer for several large National Science Foundation-sponsored education outreach projects, leading over fifty teacher workshops ranging from a few hours to four weeks in length. Since 1991, Larry has been an author, curriculum developer, editor, and trainer for many NSF and NASA-funded projects, integrating hands-on science, mathematics, and technology. He has developed, co-authored, and edited technology-related training materials, as well as numerous lab and activity manuals and textbooks. Since 2008, Larry has participated in ARRL TI-1, TI-2: Space in the Classroom, and TI-2: Remote Sensing workshops and has developed electronics, radio, and robotics modules used in his technology classes. Students and community organizations have enjoyed the activities and materials he has introduced as a result of attending the ARRL Teacher Institutes. Larry became a licensed ham in 2003 and currently holds an Amateur Extra license. He has served as treasurer of the Victor Valley Amateur Radio Club since 2008 and helps organize and run the club’s annual Jamboree on the Air event for area scouting groups. As a former scout and proud father of an Eagle Scout (and Amateur Extra Class ham), he particularly enjoys sharing what he has learned from the TI workshops in QRP (low power) communication, amateur satellites, and fox hunting activities with scouts and other community groups. Bill Richardson, N5VEI, is a teacher at Olde Towne Middle School in Ridgeland, MS which serves over 700 students in grades six through eight. Bill has used amateur radio, electronics, and robotics in his classroom activates and lessons. He has been licensed since 1991 and holds an Amateur Extra license. DX’ing, digital communications, and electronics are some of his interests in amateur radio. Bill is a graduate of three ARRL Teacher Institutes – TI-1, TI-2 Space Communications, and TI-2 Remote Sensing and Data Gathering. He uses techniques learned in the Teachers Institute to teach robotics and electronics in the classroom. Remote sensing is used in his amateur radio balloon launches that he conducts with an after school radio and technology club. They launch high altitude balloons to the stratosphere and use amateur radio methods to track and recover the payloads. Bill sponsors an after school radio and technology club as well as four VEX robotics teams that are consistently ranked in his state. His teaching background includes 18 years of teaching sixth grade through college. Subjects instructed include US and World History, Advanced Geography, Western Civilization, Learning Strategies, and STEM. Currently he is teaching STEM and focuses on basic electronics, CAD, robotics, and manufacturing. He holds the following degrees: Associate of Applied Science- Electronics, BS-History, M.Ed.-Social Studies Education, and a specialist degree in K-12 Administration. Bill is also a National Board Certified Teacher and plans to incorporate more amateur radio into the classroom in the future.